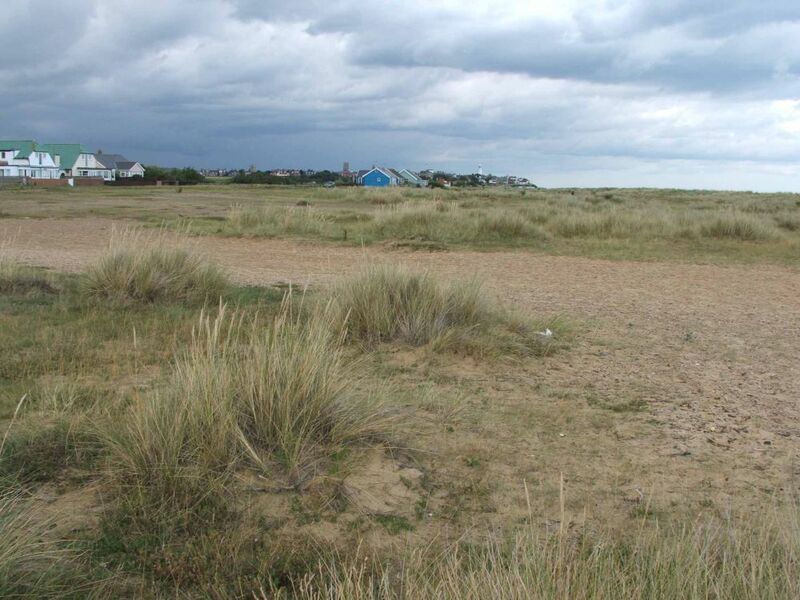 Location of Southwold Emergency Coastal Defence Battery. Nothing remains of the battery buildings. This picture is taken from the probable location of the battery observation post. The gun houses were located to the front of the two houses to the left of the picture. Southwold church is visible in the distance.